There are delights in the high country that are unknown, or uncommon, in the valleys. Items, below, were seen a few days ago at an elevation of about 1600 metres. This is the Western Anemone (Pulsatilla occidentalis). Another term for the plant, the old man of the mountain, makes no sense until one sees what it looks like after it has gone to seed. 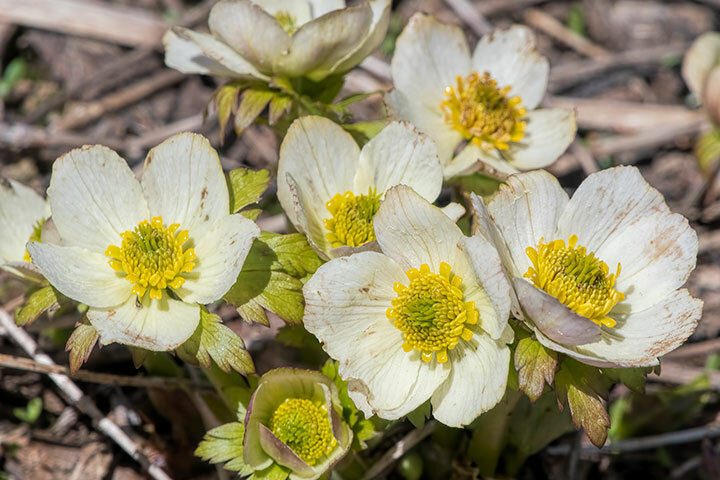 The name, anenome, comes from the Greek and while it just means windflower, it translates literally as the daughter of the wind (from anemos for wind), apparently so named because the flowers open only when the wind blows. 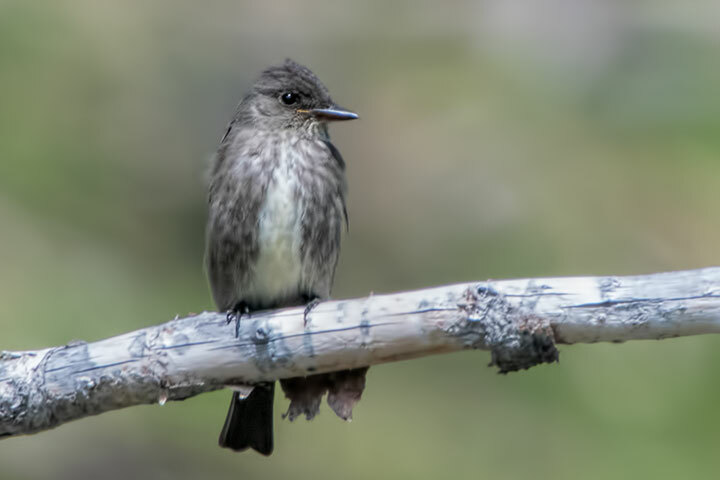 The Olive-sided Flycatcher breeds in the high country where it is usually found perched in wildfire-damaged openings as it hunts for insects. 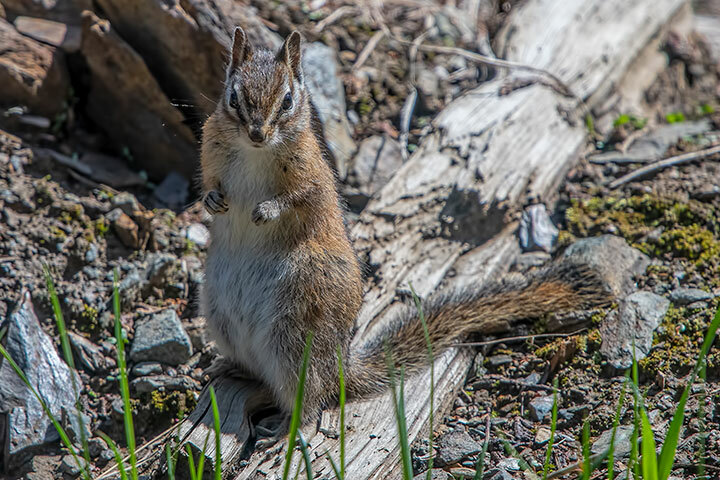 Does the chipmunk qualify for this group? I have seen it at the bottom of valleys, but the usual place I see one is above 1000 metres. 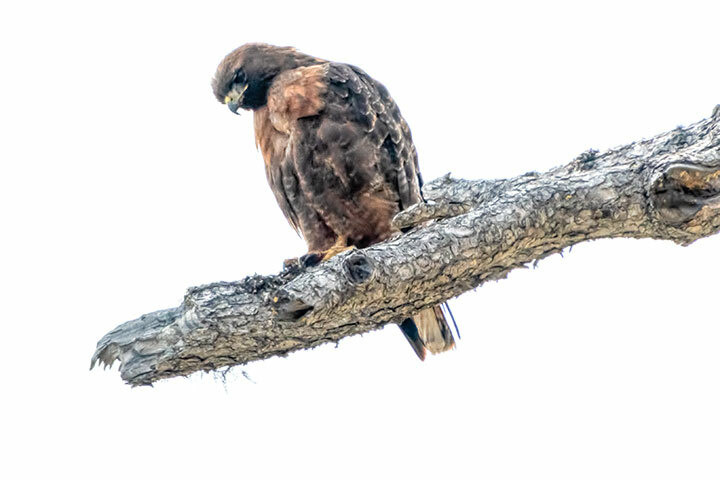 The Red-tailed Hawk is an altitudinal migrant. It is found in the valleys in the cold weather, but in the warm season it moves to the high country, a vast space where it is more difficult to find. The high country can sometimes even provide a view of the trees around one’s home in the valley. 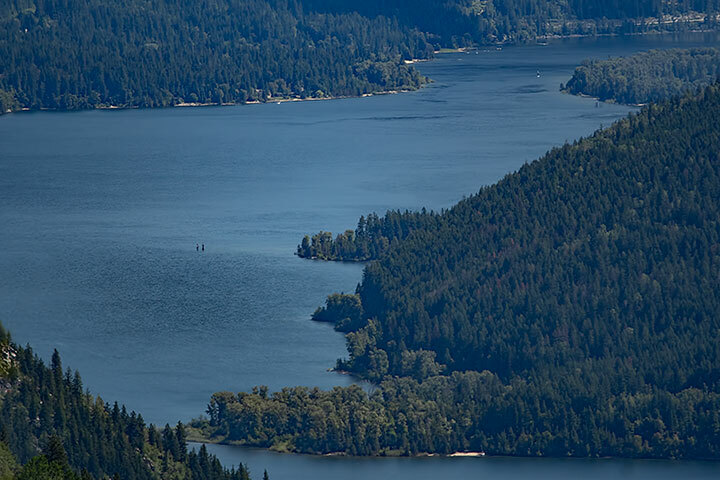 An even more interesting sub-alpine resident will appear in a forthcoming posting. This entry was posted in birds, mammals, wildflowers. Bookmark the permalink. Thanks especially for the anemone which blooms last such a short time for one lucky enough to be up high where they bloom!